Barry Yau convenes/teaches in the GDLP (PLT) online program at the ANU School of Legal Practice (formerly ANU Legal Workshop). Since 2012 Barry has convened Commercial Practice, as well as Consumer Law, with the support of a dedicated team of talented legal practitioner/mentors based across Australia. Before joining ANU Barry worked as a lawyer in government and private practice for 13 years, including a stint as an Australian Volunteer Abroad lawyer in Papua New Guinea. Barry also spent several years in the UK where based at the University of Warwick, he worked as the Project Manager of the SAFE Project, which was funded with a 12 million euro grant from the European Union, to research the implementation of routine and cost-effective non-invasive prenatal diagnosis. Barry also undertakes research in the area of commercial and corporate law, particularly the attitudes towards its study and practise by LLB and JD students, as well as by professional legal training students. Barry’s research also examines the attitudes and reflections of early career commercial lawyers. As part of his qualitative research Barry is exploring the relationship commercial and corporate law has with legal ethics, wellness and work-life balance, and how these issues shape and influence the perceptions students and lawyers hold towards the practise of commercial and corporate law. Barry Yau and David Catanzariti, 'Bridging the Information Gap', (June 2018), Law Institute Journal. Barry Yau undertakes research in the area of commercial and corporate law, particularly the attitudes towards its study and practise by LLB and JD students, as well as by professional legal training students. relationship commercial and corporate law has with legal ethics, wellness and work- life balance, and how these issues shape and influence the perceptions students and lawyers hold towards the practise of commercial and corporate law. Barry’s research interest has stemmed from his teaching of Commercial Practice in the University’s professional legal training program. One goal of his research is to develop an in-depth understanding of attitudes to continuously improve in preparing students for commercial and corporate legal practice. His preliminary findings (based on data gained from focus groups and individual interviews) has been presented wat national and international conferences, including the 2015 Corporate Law Teachers Association conference. 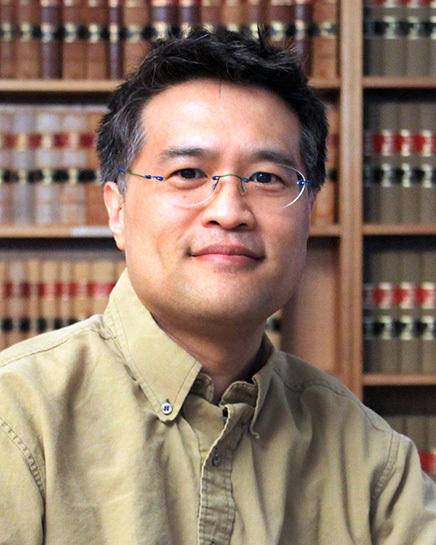 Barry Yau has been the principal investigator of a research project since 2013 that is researching the attitudes of law students and practical legal training students towards the study and practice. The project also explores the attitudes and reflections of early career commercial lawyers. The project also researches the role of legal ethics in the study and practise of commercial law, and how work-life balance and wellness influences the choices of students in their legal careers, particularly in commercial law. Barry collaborates with Alexandra Johnstone and Vivien Holmes in the project. Grant awarded under the ANU College of Law Small Grants General Scheme to support the project 'Attitudes to the study of Commercial Law, and the place of Legal Ethics in the study and practice of Commercial Law', November 2013. Barry Yau and David Catanzariti, Bridging the Information Gap, (June 2018), Law Institute Journal. Barry Yau and Vivien Holmes, 'Revitalising the study of Commercial Law: contractual negotiations, a legal ethical dilemma and a dose of cupcakes', Association of Law Teachers annual conference, Nottingham, UK, 24-26 March 2013. Barry Yau, 'Attitudes towards commercial law: From undergraduate students to early career commercial lawyers - Preliminary observations on three focus group proceedings', Australasian Law Teachers Association annual conference, Bond University, 11-12 July 2014. Barry Yau and Alexandra Johnstone, 'Attitudes Towards Commercial Law: From Undergraduate Law Students to Early Career Commercial Lawyers – Preliminary Observations on three Focus Group Proceedings', Australasian Professional Legal Education Council annual conference, Auckland, 14-15 November 2014. Alexandra Johnstone and Barry Yau, 'Predictions, perceptions and premonitions of law students about commercial law practice and work-life balance compared and contrasted with reflections, recollections (and some regrets) of early career commercial lawyers', Association of Law Teachers annual conference, Cardiff, 29-31 March 2015. Alexandra Johnstone and Barry Yau, 'The narratives that drive us - lawyer career choice and work life balance', Law, Literature and the Humanities Association of Australasia Conference: Complicities, Sydney, 10-12 December 2015. Panelist on the Corporate Law Teachers Association teaching panel, annual conference, 1-3 February 2015. Peer reviewer for the Journal of Australasian Law Teachers Association.